Featuring two dainty celestial charms, this stunning Lightning & Star Necklace Gift Box makes the perfect ready-to-give gift. 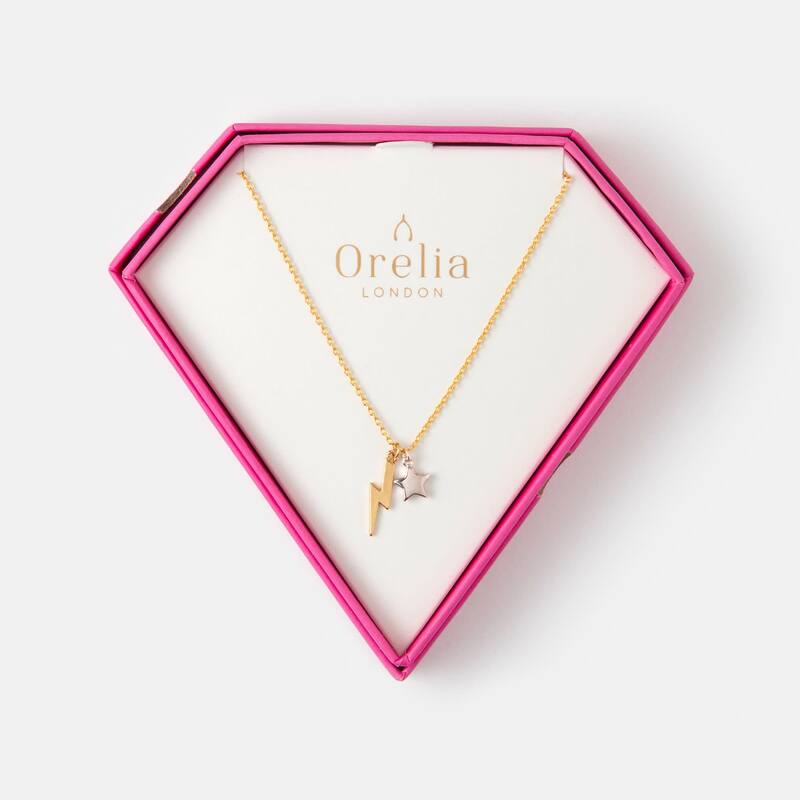 With a gold plated lightening bolt and silver plated star placed onto Orelia's signature gold plated chain, this cute necklace comes in a pink gem shaped gift box. Edit Fashion and Homeware in Orpington, United Kingdom.